The 2010s have not been kind to broadcast TV. 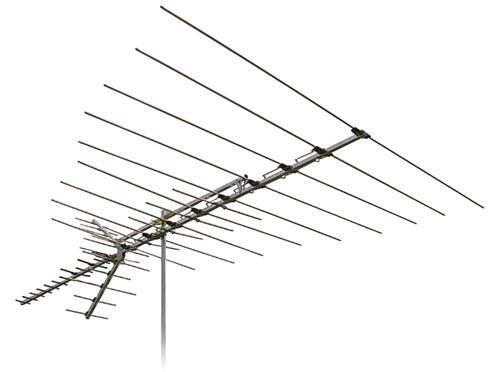 Even though antennas are hotter than they’ve ever been, broadcast TV as a whole has continued on a disappointing spiral. The Primetime Emmy awards continue to reward pay-TV channels, and so do viewers who flock to complex dramas and saucy comedies that broadcasters can’t seem to deliver consistently. So what should we expect from the coming year? NBC just won’t get it… yet again. I predict that NBC will continue to wane but will keep putting on programming 7 nights a week that people won’t watch. Their deal for a new Cosby sitcom fell through so they’ll probably find some other way to dredge up the 80s and 90s with a Mad About You or Cheers reboot that will fail miserably. CBS’ new streaming venture won’t make money. CBS is the holdout network, refusing to put episodes on Hulu. Instead, they’ve announced their own streaming service. Maybe people will pay for it, maybe they won’t, but in then end people don’t like a la carte charges. Unless CBS can price its streaming in a bundle with Hulu or HBO GO, it won’t last very long if it’s expected to be profitable. I agree that streaming will be big in 2015, but this article’s more about broadcasting and I’m only mentioning it because CBS’ strength is still in broadcast. The majors will become the farm leagues, finally. In the past, I’ve suggested that the broadcast networks test out series on their captive pay-TV networks. Every broadcaster is associated with a pay channel of some sort, and I thought for example that NBC could build a following for a show by starting it on USA Network, then move it to broadcast if it takes off. Now I’m turning around. The broadcast networks have the ability to reach more people, but they can’t hold on to viewers for quality TV. So, I predict that broadcast networks will intentionally start shows on free TV then move them to streaming or pay channels to keep audience. Smaller stations will start to fold. The FCC would love to buy back a bunch of broadcast licenses to make room for wireless internet. They’ll get their wish in 2015, as I believe that the stress of operating an independent TV station will cause about 10% of the TV stations in the country to fold or move to streaming only. Broadcasting isn’t the cash cow it once was, and it costs a lot of money to keep that 50,000 watt transmitter on all day and night. Eventually, we’ll see network affiliates affected by this trend but I don’t think that’s going to happen in 2015. So, what do you think will happen to broadcasting in 2015? Leave your comment below! People say they get TV stations from 120 miles away. Are they lying?